Successfully saved Cauliflower Rice to your Calendar. You can also save the ingredients to your Grocery List. Like rice, cauliflower rice is the perfect vehicle for herbs and spices and can be used in replace of the rice grain in almost any dish. It’s also a great way to sneak more servings of vegetables into your diet. 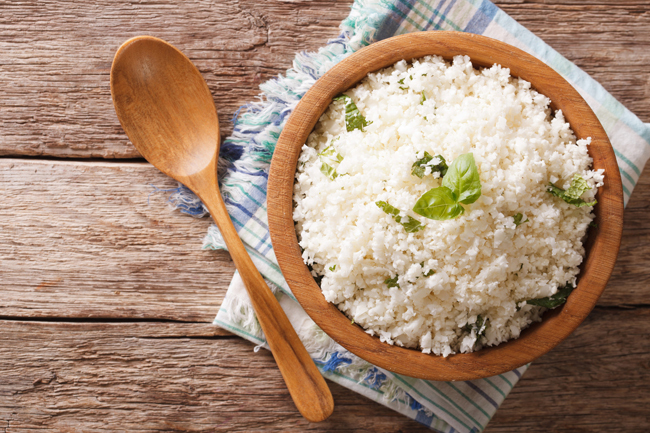 Making cauliflower rice couldn’t be easier either, all you need is a box grater and a skillet.